VeriCite DocumentationUser GuidesBrightspace User Guide LTI Content Item Integration - Instructor ArticlesHow do I submit multiple files to a VeriCite LTI assignment on behalf of students? 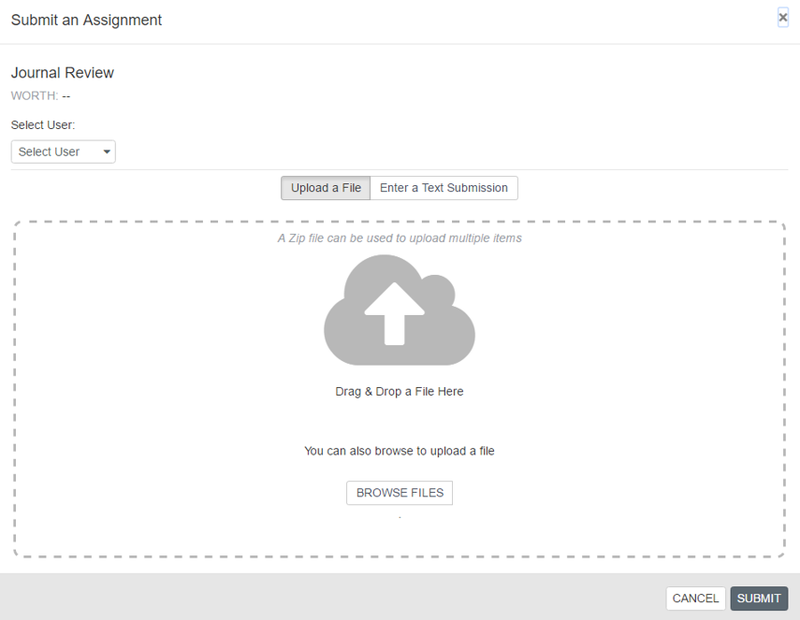 If you have multiple papers you would like to submit at once, you may upload a zip file containing multiple files. VeriCite will create a report for each file in the zip. Note: There is a limit of 100 files, and 100MB total unzipped file size per zip file. From the Assignment Submissions page, click Submit To Assignment. Zoom: From the Assignment Submissions page, click Submit To Assignment. Zoom: Upload your zip file. Drag and drop the zip file you would like to upload from your computer into the Drop Files to upload area. Or, click the Browse Files button to browse for and select the zip file from your computer. 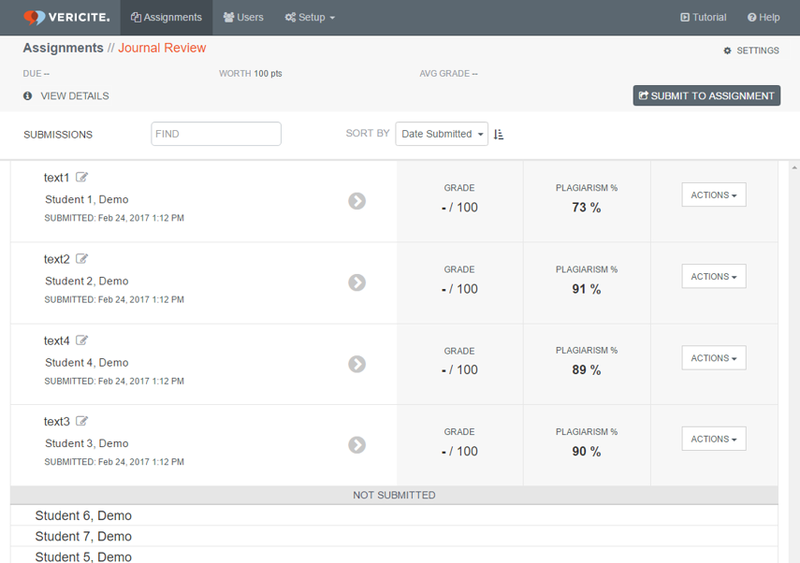 Review or modify the submission information and then Submit. Zoom: Review or modify the submission information and then Submit. Select the User (i.e. name of student). Note: If the user id or name appears in the filename of the document contained in your zip file, VeriCite will automatically select the user in your course that best matches the filename. Title of the submission. The default Title will be the filename, but this can be modified if desired by clicking on the Edit icon next to the document title. If there are any files included in the list that you do not want to submit, you may click the Delete icon to remove them. Click Submit to submit all files at once. The submissions will display in the Assignment Submissions list. Zoom: The submissions will display in the Assignment Submissions list. Prev: How do I recover orphaned VeriCite LTI assignment submissions?